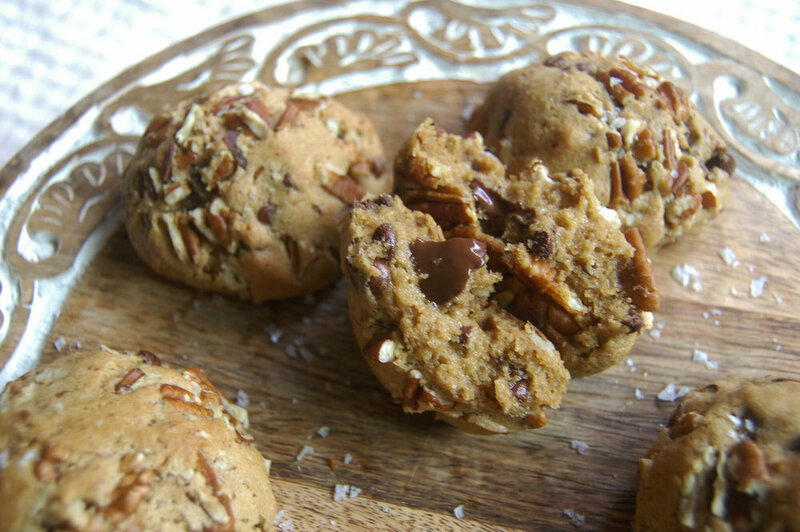 I'm constantly trying recipes by one of my favorite food bloggers, A cozy kitchen. 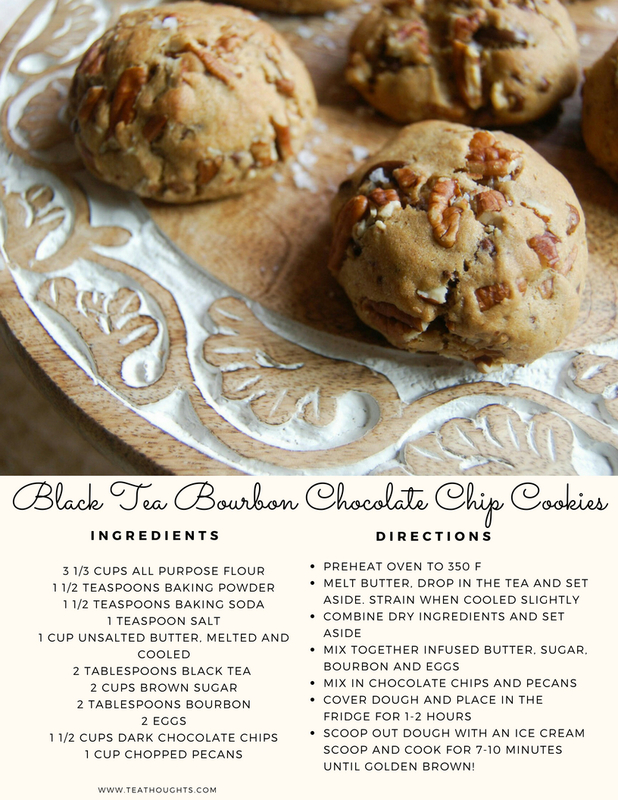 I LOVE cookies and I LOVE bourbon so when I saw her recipe for bourbon chocolate chip and pecan cookies I knew I had to try it and had to find a way to incorporate tea into it! There are a few glorious things about this recipe. 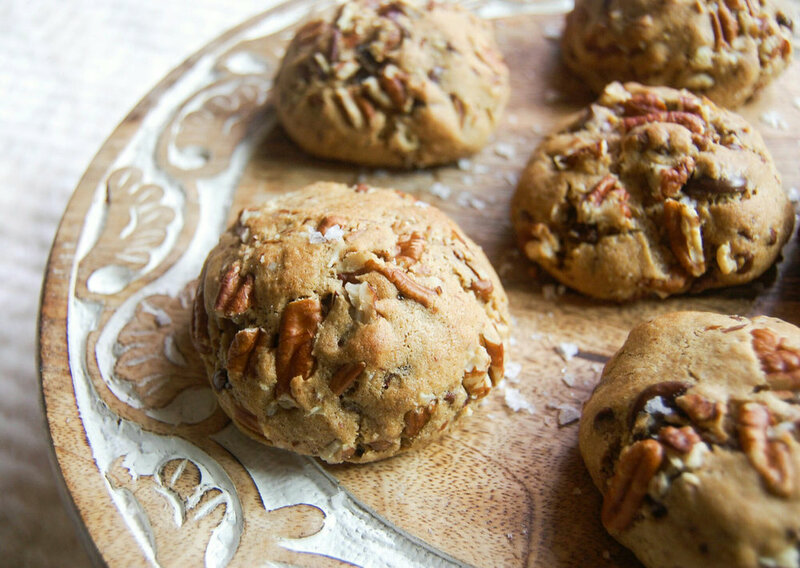 First, it combines some of my favorite things including bourbon, chocolate chips and pecans! I used bittersweet chocolate chips and it's such a great bite of flavor with the nuts. Second, I didn't mention this in the recipe but you'll see some salt flakes in my photos and also on the original recipe linked above. 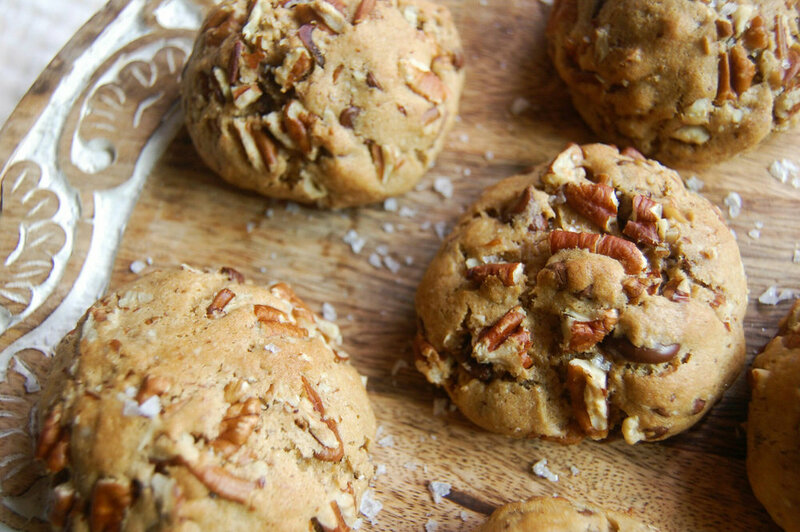 The salt flakes were something in the original recipe and I baked these cookies twice using the flakes and not using the flakes. If you are the type of person who like sea salt + sweets, USE THE FLAKES! SO GOOD! Finally, I want to give credit to A Cozy Kitchen for solving the cookie crisis. The cookie crisis (to me at least) is always wanting cookies but never wanted to bake one or two dozen. In her post she talks about her process which is making this batch, cooking what she wants and freezing the rest. She scoops the dough and places them in the freezer and anytime you want one or maybe two cookies you can just pull that many balls of dough out and enjoy! This was an amazing hack but also super dangerous for a cookie monster like me. Enjoy!